If you have to build a library for a project manager, what project management books would you choose? The answer is harder than it appears. Project management covers a vast range of skills and qualities. A good project manager is a leader, an effective communicator, an efficient manager and, most importantly, well-versed in project management methodologies and principles. Your library of project management books should reflect this breadth of skills and expertise. To help you out, I’ve compiled a definitive list of books on project management, leadership, communication, and time management below. More than anything else, an effective project manager must understand project management concepts and processes. This means being grounded in core project management theory and best practices, while also keeping yourself updated with new approaches in the field. The books below will help you do both, regardless of your experience level. 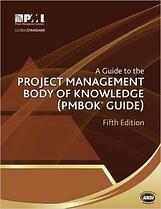 The PMBOK guide is the definitive academic book on project management. It’s critical reading for anyone interested in taking the PMP exam. Even if you aren’t, this book is a must-have reference for current and future project managers. I recommend getting an earlier print (fourth edition or earlier) since the current run is printed on grayish paper that makes the text hard to read. 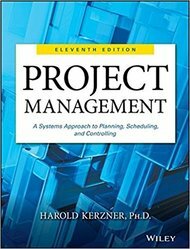 If you've never had a formal introduction to project management, this is the first book you should start with. Kim Heldman's bestselling beginner-friendly guide is easy to read and introduces you to several core project management concepts and principles. The book is industry agnostic; the concepts are as applicable in construction as they are in IT. Besides rank beginners, this is also a great starting point for people wanting to transition from technical fields to project management. 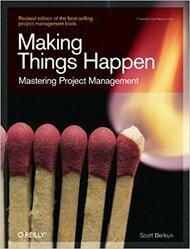 PMI's PMBOK might be the official academic guide to project management, but for countless project managers - current and aspiring - Eric Verzuh's book is the starting point to understanding project management. 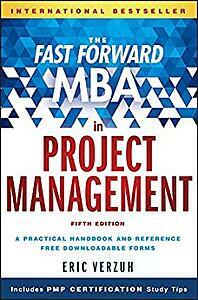 Breezily written and filled with real-life case studies, the Fast Forward MBA in Project Management is one of the most readable - and useful - books on project management. You'll benefit from it if you are an absolute beginner or an intermediate-level practitioner. For best results, try reading it as a complement to the PMBOK guide. As the title makes it known in no uncertain terms, this is a book for complete beginners. If you've never worked on a project or managed one, you'd do well to turn to this book. 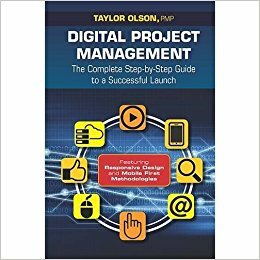 The book is divided into five parts covering project planning, project control, execution, and learning advanced PM strategies. 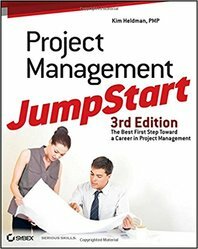 The first part - 'Project Management Jumpstart' - is a good introduction to basic PM principles. Although fairly in-depth and lengthy, it's still a relatively breezy read and a great place to start for a complete beginner. A perennial favorite thanks to its depth and insight, Making Things Happen is actually the revised version of 'The Art of Project Management', Scott Berkun's earlier bestseller. This book is divided into three sections. Section One covers project planning, delegation and management. Section Two covers skills such as managing stakeholder relationships and running effective meetings. Section Three covers leadership and interpersonal relationships - a critical, but oft-ignored part of project management. Intermediate-level managers, especially in the software industry (Berkun's background is at Microsoft), will benefit greatly from it. Clocking in at a whopping 1,296 pages in the hardcover edition, this mighty tome is meant for serious students of project management, not casual readers. Often prescribed as a reference textbook in university programs, this book has the depth and breadth to support its reputation as the project management "bible". The current (11th) edition of the book expands its focus to include new sections on governance, business intelligence and new case studies. It also has several practice exercises to help you prepare for the PMP exam. I don't recommend this for someone new to project management. 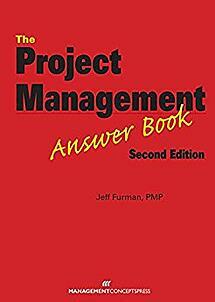 However, if you're preparing for the PMP exam, or want a reference book in your library, you can't go wrong with it. 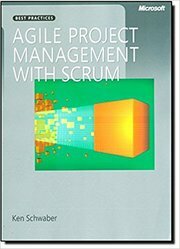 Don't let the bland title fool you, Agile Project Management with Scrum is a surprisingly breezy read. Instead of theoretical knowledge, Ken Schwaber uses anecdotes and case studies to help you understand the Scrum process. This "theory-less" approach might not work with a more formal PM methodology, but works wonderfully well with the free-flowing nature of Scrum. If you're looking for an introduction to Scrum principles and want to learn by example, this is a good starting point. If you found the above book too lacking in theory and principles, you'll love this option. Essential Scrum is exactly what the title describes: an in-depth (but not dull) guide to Scrum. 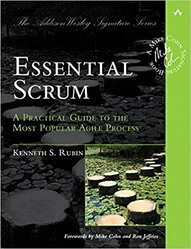 You'll read the author, Kenny Rubin, make an impassioned plea to adopt Scrum, before he dives into a hands-on explanation of how the Scrum process works in a real-world setting. A must-read for teams (particularly in software development) that haven't jumped aboard the Agile train yet. 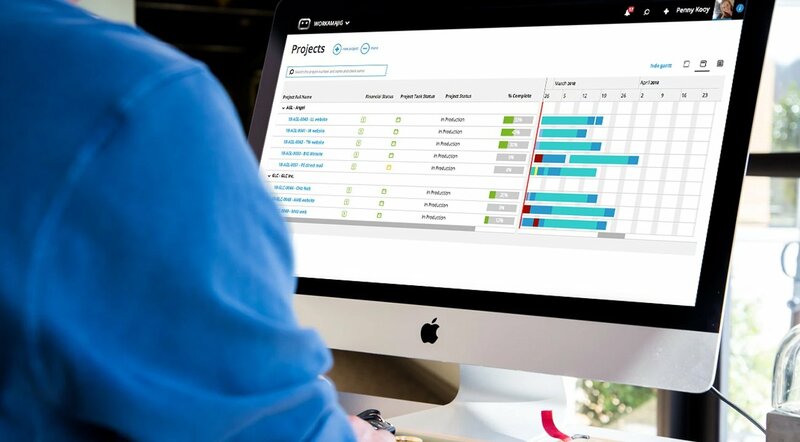 How do you make something as complex as critical chain project management (CCPM) more approachable to the average project manager? Simple: you turn it into a novel. This book weaves a family drama around a lesson in CCPM. The story follows Mike Knight, an executive in a semiconductor firm. When his son is diagnosed with a rare form of cancer, our protagonist quits his job to help a pharma company bring the cancer's only known solution to market faster - using CCPM, of course. This is a great beginner-friendly book if you want to understand CCPM but don't want to read an academic textbook. 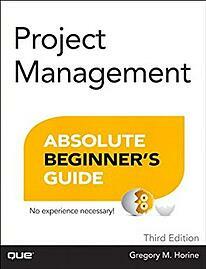 This book is exactly what the title describes: a starting point for non-project managers to learn more about project management principles. As a manager, you might already be implementing PM principles without even knowing it. This book will help you formalize your knowledge without bogging you down in jargon and academic-speak. You'll learn about core PM skills and how they apply to day-to-day managerial tasks. The book also shares a number of case studies and examples to show you how PM principles can help you unlock superior performance in nearly any managerial setting. Online projects have their own unique set of challenges and constraints. Dealing with such issues and delivering a successful product is 'digital project management'. If you work in a digital agency, startup or any tech-focused team, you'll love this step-by-step, easy-to-read guide to digital project management. 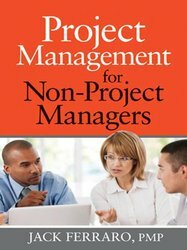 You don't need prior project management experience; this book will guide you through core PM processes and skills. I highly recommend this as a starting point to project management if you are a tech manager or entrepreneur. Preparing for the PMP exam? Starting out as a project manager but unsure about some concepts? Learning new tactics after decades of experience as a project manager? If this describes you, the Project Management Answer Book would be the perfect reference book. Written in an easy-to-read Q&A format, this book gives you answers to the most commonly asked questions in project management. It's particularly useful if you're planning to appear for the PMP exam, or if you need a friendly refresher on PM concepts. Every project can benefit from proper project management. The trouble is, mastering project management is a difficult and laborious process. This is where books like this come in handy. Instead of diving into the complexities, this book brushes on the basics of project management. It gives you just enough insight and knowledge to help you run your project better. It's short, breezy and a great read for non-project managers. The management guru Eli Goldratt is famous for three things: developing the Theory of Constraints (TOC), Critical Chain Project Management (CCPM), and creating the genre of the "business novel". 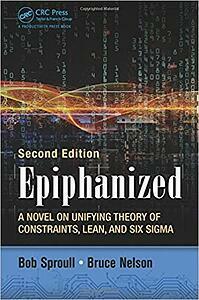 This book takes a leaf from Goldratt's work and combines the business novel with an explanatory guide to one of Goldratt's best-known creations - the Theory of Constraints. The book is divided into two parts. 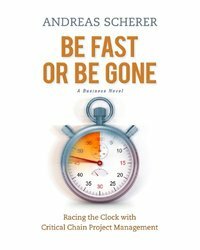 Part one is a traditional business novel that covers the core concepts (TOC, Six Sigma, Lean methodologies) in a fictionalized setting. Part two is a traditional explanatory text, helping readers understand these three core concepts in more detail. For practicing project managers, this stylized half-novel, half-textbook approach can be a great way to get introduced to advanced topics. The synthesis of TOC, Lean and Six Sigma can lead to significant productivity and efficiency gains. This book just makes it easier to understand them. In 1999, Motorola backed Iridium Satellite Communications filed for bankruptcy after spending $5 billion in less than half a decade. At that time, it was one of the biggest bankruptcies in the US and one of the most spectacular tech failures of all-time. Because the catastrophic failure of Iridium is covered extensively as a "super" case-study in this bestselling project management book. 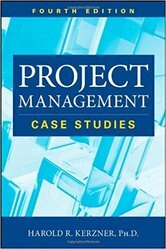 Covering over 100 case studies, this book makes good on the premise that the best way to learn project management is through real-world examples. You'll learn why Iridium failed, why the Space Shuttles Challenger and Columbia crashed, and how Capital Industries estimates its projects. If you can have only one book on project management case studies in your library, make sure it's this one. 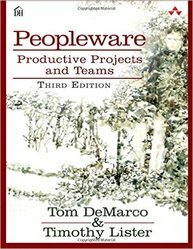 Peopleware is one of the most popular project management books ever written. Although originally written in 1987 targeting software development teams, the ideas in it are equally pertinent today. At its heart, Peopleware is about managing people. You'll learn how to create a comfortable, creative space for your project teams, how to hire workers, and how to create training processes that work for individuals. A vital book for any project manager in a creative field. To be good at project management is to be good at leadership and management in general. In fact, in our last article on project management skills, leadership came at the very top of the list of requirements. If you’re going to build a library of project management books, you can’t ignore this vital skills. To help you out, I’ve compiled a list of essential leadership and management books for project managers. In the 2017 fiscal year, Toyota produced 9.08 million cars worldwide, or approximately 1,036 cars each hour. How did Toyota manage this extraordinary engineering feat without sacrificing quality? The Toyota Way expands on the company’s unique approach to management that helped it become the world’s largest automobile producer. 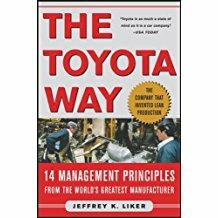 You’ll learn a bit of Toyota’s history before the author dives into the 14 management principles behind the company’s manufacturing success. A great read for managers and car enthusiasts alike. How do you take a company (or in your case, a project team) that's good and make it great? 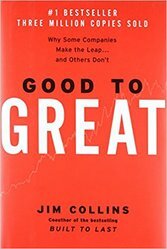 This is the central question Jim Collins, author of Built to Last, answers in this bestselling book. Collins digs through 6,000 business articles and thousands of interviews to figure out what separates a great company from a merely good one. Through this research, Collins discovered that there are some fundamental similarities in great companies, regardless of their age or industry. There are plenty of takeaways, many of which go against common knowledge. Collins, for instance, discovered that strong-willed and humble leaders significantly outperform socially outgoing ones. For leaders, managers and anyone aspiring to lead a company or a team, this is a timeless classic. As a leader, one of your most important jobs is to influence other people and shape their thinking. How persuasive you are will affect how seriously people take your ideas. 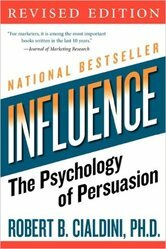 In Influence, Dr. Cialdini explores the six principles of influence and persuasion. You'll learn how social proof affects your persuasiveness, and how being likable can change the impact of your ideas. A position of authority makes your more persuasive, while being consistent increases your trustworthiness. Mastering these principles is critical if you want to spread your ideas and influence people. 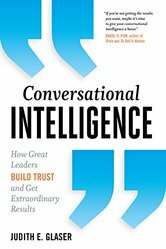 If you're a leader, a manager, or anyone who wants to be more persuasive, this is a must-read. Peter Drucker is the father of modern management. So many management principles that we now take for granted - decentralization, simplification, outsourcing, etc. - originated in Drucker's writings. 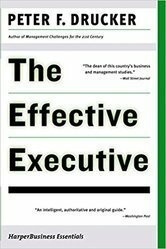 The Effective Executive is arguably Drucker's most important work. It effectively distills Drucker's ideology into a short, easy to read guide that anyone can read and gain from. Although written in the 1960s, the lessons on leadership and management are equally applicable today. Read it to get a foundation in core leadership principles and an introduction to Drucker. Walk into any top executive's office and you'll likely find this book sitting on the bookshelves. 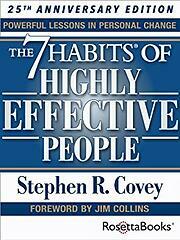 One of the best selling business books of all time, Stephen Covey's classic has timeless lessons in leadership for everyone. Instead of short-term tactics or tips, this book focuses on helping you find your "true north", i.e. the principles and values that guide you in the long-run. Essential to Covey's approach is to be proactive, to prioritize, and to communicate well - all crucial values to project managers. 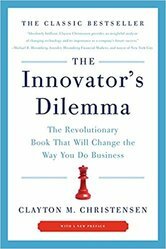 This book claims that it will "change the way you do business". As bold a claim that might be, the book actually lives up to it. Authored by Harvard Business School professor Clayton Christensen, this book tracks companies across industries and explores how they fare against disruptive competition. The solution to new technologies and competitors, Christensen argues, is "disruptive innovation". This effectively turns established companies into "startups" and, true to its claims, changes the way you do business. While its audience is mostly business leaders, project managers can benefit a great deal from it at as well. The lessons are as applicable to disruptive project teams as they are to businesses. As a project manager, one of your biggest responsibilities is to maximize productivity and manage activity. How well you can manage your time and your team’s tasks will often determine your project success. This is why I believe every project manager should have a firm grounding in core productivity principles. Here are a few books to help you along this path. How important could a simple checklist possibly be? 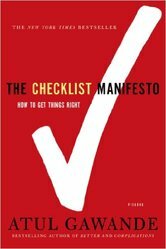 In The Checklist Manifesto, Dr. Atul Gawande shares an anecdote about an I.C.U. in Michigan. After implementing a simple 5-point checklist for incoming patients, the I.C.U. saw infections drop by 66 percent and prevented as many as 1,500 deaths in a single year. Stories like this abound in The Checklist Manifesto. Gawande makes an impassioned case for creating checklists for every single routine task as a way to control quality and manage risks. The lessons are applicable across industries and fields. A pilot can benefit as much from checklists as a project manager. Given the importance of risk management and quality control in project management, this is a must-read book. If you could fit just one productivity book into your library, make sure it's this one. 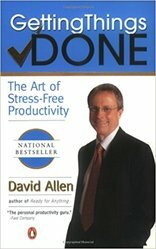 David Allen's "productivity bible" is a timeless classic, selling millions of copies around the world and inspiring a legion of fans who swear by the 'GTD' method. Allen's productivity process is simple enough: he advises that you break down tasks into smaller constituent parts, then prioritize them. Delegate what you can and remove whatever is unnecessary. Attack the rest with a productive zeal. This system has proven to be effective for people regardless of their positions, industries and goals. If you haven't read it already, now would be the right time to start. What separates a great project manager from a good one is this: the ability to execute. 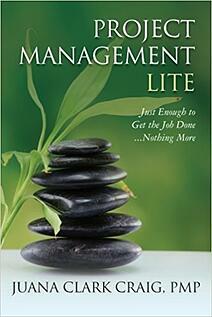 This book focuses on this all-important management trait. You'll learn how to create a culture of accountability, how to foster discussion and how to lead teams to maximize their performance. The book has an equal trust on theoretical principles as it does on case-study based real-world learning. There are plenty of takeaways about selecting the right people for the right problems, managing teams and creating a culture of innovation. One of the most important skills for the modern day worker isn't to stay connected; it's to disconnect and do deep, meaningful work. This is the issue Cal Newport tackles in this book. Going against the dominant strain for "perpetual connectivity" in modern business thinking, Newport makes a strong case to disconnect, dig in, and focus on one task at a time. 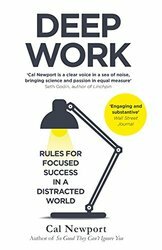 Think of this less as a book on management and more as a treatise on HOW to work. It's particularly pertinent in our modern, distraction-riddled workspaces where disruption is just a phone call away. Buy this for yourself and your team to show them why, and how, to do their best work. Some habits are good. Most are not. A majority are irrational. And they affect every aspect of our lives and businesses. 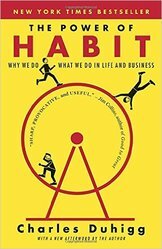 Charles Duhigg's bestselling book is about these habits and how (and why) they work. It starts by covering the scientific basis for habits and why they're so hard to break. From then on, it shifts gears, focusing on companies and individuals who changed their habits and achieved extraordinary success. Through this book, you'll learn how to spot destructive habits in your team and business as a whole. You'll also learn how to break these habits and replace them with something positive. Along the way, you'll realize productivity gains and transform the way you work. The average project manager spends a bulk of his time communicating. Whether this is sending emails, making phone calls, or attending Skype meetings, you’ll have to share your ideas, listen to others, and create a culture that fosters clear communication. This is why communication is a vital subject for any library of project management books. Conversations are the foundation of communication. How clearly you share information and how you relate to others will depend on the quality of your conversations. 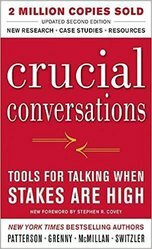 Judith Glaser's book focuses on this oft-ignored component of conversations. She covers the neurological basis of conversations - how good conversations lights up the amygdala in our brains. She then moves on to the relational component of conversations. That is, how you can use conversations to relate to others. Finally, she explores the co-creational component of conversations. This is where you use conversational intelligence to co-create a shared reality. For project managers, this part is particularly enlightening. The right kind of conversations can help you create a set of shared values across the team. In your project management career, you'll have to have countless difficult conversations. Maybe you have to fire someone. Maybe you have to reprimand a poor performer. Or maybe you have to deliver bad news to the entire team. You can avoid these conversations (for a while, at least), deal with them poorly, or use the roadmap in this bestselling book to handle them the right way. Kerry shares insight on how to handle difficult conversations without impacting the underlying relationships. He tells you how to create an environment that prevents people from becoming defensive when faced with a hard conversation. He also shares practical tips on how to initiate such conversations that maximizes their impact and minimizes their damage. If you've ever had a difficult conversation as a project manager, you'll love this book. Managing conflicts is a part and parcel of project management. These might be conflicts between team members, across teams, or between teams and stakeholders. Conflict 101 gives you a beginner's understanding of how conflicts work and how to resolve them. You'll learn how to build trust, control negativity, encourage forgiveness and still say what needs to be said. Use it in conjunction with the above book (Crucial Conversations) to communicate effectively in any conflict. Project management is people management. And your ability to manage people depends on your emotional intelligence. 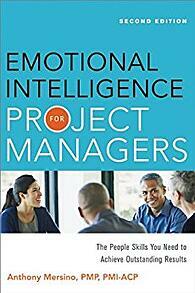 This must-read book introduces you to the basic concepts in emotional intelligence and how they apply to project management. You'll learn how to create a project communication plan that's grounded in emotional resonance. You'll master listening skills and creating a positive work environment. And you'll get lessons on creating a friendlier work environment. Besides theoretical knowledge, there are also several case studies and self-assessment tests for project managers. So that’s it - 31 project management books to help you master project management, leadership, productivity and communication. Read these and you’ll have all the knowledge you need to be an effective project manager. Did I miss your favorite project management book? Let me know in the comments below!